It’s often referred to as the most dynamically rewarding Porsche 911 of all, the lightweight 2.7-litre Renne Sport (RS) of 1973 – and the early example pictured here is expected to fetch around NZ$2.5m when it goes under the hammer on October 27. Auction house RM Sothebys says it is the second of nine prototype RS models built before production of the RS proper began late in 1972. The first pre-production RS had the chassis number 9113600011. The car here carries the number 9113600012 and apparently was driven out of the factory in Germany in April 1972. 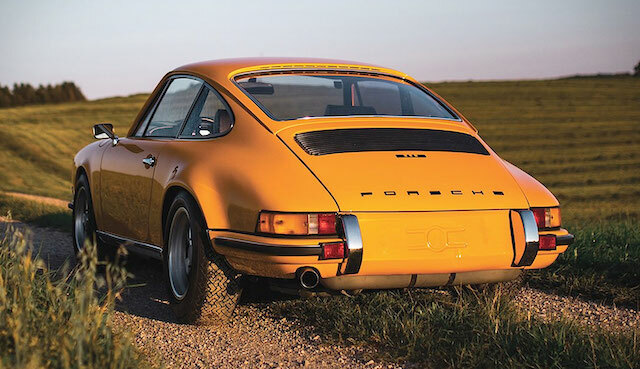 It was followed shortly thereafter by chassis 9113600013 and 9113600014, all four models based on the 911 S bodyshells from the 1972 model year and modified to what would become 1973 Carrera RS specifications. These four cars were internally designated by the factory as 911.644, while the Carrera RS would be designated 911.744. 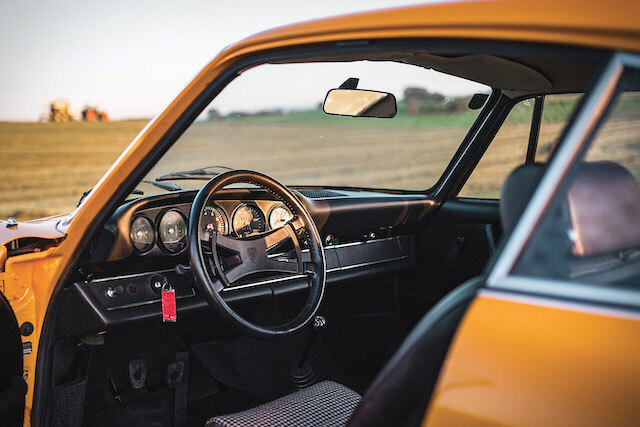 Accounts of overall 2.7-litre RS production numbers are often blurred, but various record departments mostly agree: fewer than 1600 were built in the years 1972-73. Porsche set out to build 500 for homologation and entry into European sports racing events. But worldwide interest in the coupe quickly rocketed and the company pushed up production to meet demand. Compared with a standard 911S and its 2.4-litre engine, the Carrera 2.7 RS had a 2687cc engine developing 154kW at 6300 rpm and 255Nm of torque at 5100 rpm, oomph that scooted it from 0-100km/h in a touch over five seconds. It came with Bosch mechanical fuel injection, revised suspension, larger brakes, 6in front wheels and 7in rears, and rear wings. In RS Touring form it weighed 1075kg; in Sport Lightweight form it was about 100kg lighter, the saving coming from the thin-gauge steel used for parts of the bodyshell and also the use of thinner glass. The car on this page has one obvious RS feature but is missing the more iconic other: it is slightly wider across the rear wheel arches but doesn’t have the rear ‘ducktail’ spoiler. That came later. It also has an 85-litre petrol tank, and its engine bay is spray-painted black. A space-saver spare tyre and a 1.1kW starter motor further differentiate it from the cars that would come after. Another difference is the chrome trim around the indicators, which were painted black for the later cars. Porsche reportedly used it as a demo model before selling it in September 1973 to young German race driver Helmuth Koinigg, who had it repainted white. Koinigg died in October 1974 in a crash in the US Grand Prix at Watkins Glen. It was his second Formula One race for the Surtees team. Thereafter, his Porsche RS prototype had a number of owners in Europe and the US before being fully restored 10 years ago. It is being offered for sale by its current owner, a German collector.